This weekend, when the biggest box-office hit is expected be a film based on a popular book about young people being forced to fight to the death, OCTOBER BABY hits theaters with a resounding message about the sanctity of life. Talk about a culture in need of a wake-up call! 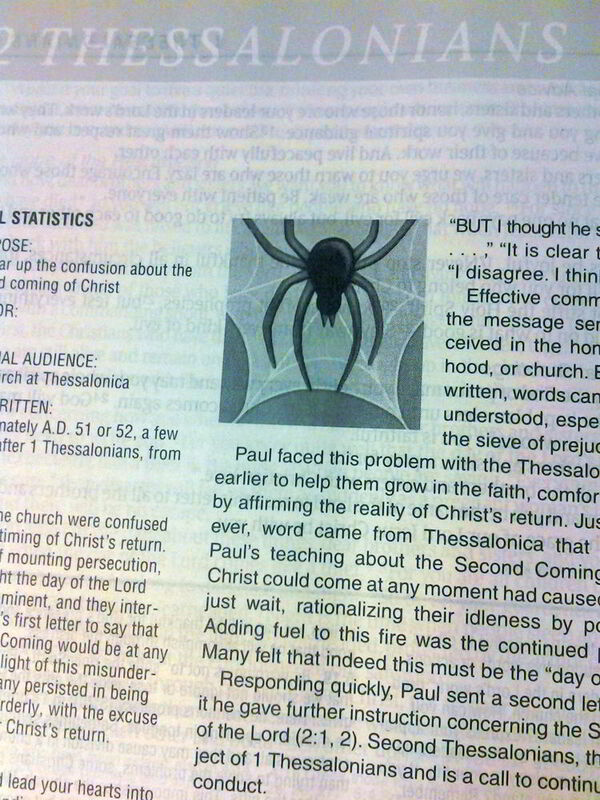 I'm annoyed because that paragraph unfairly implies that The Hunger Games is against the "sanctity of life" (which is almost the diametric opposite of the truth), and I'm offended that whoever wrote it either decided to take a pot-shot at a movie they haven't seen and don't know anything about, or thinks that I and every other Christian out there is too stupid to know baloney when we see it. The whole message of The Hunger Games (which, full disclosure, I have not seen yet on the big screen, but I've read the book series and from all accounts I've read, the movie is remarkable in its fidelity to the book) is that life is too precious to be manipulated and exploited for the entertainment of others. The story does not glorify the fact that the kids are killing each other in an arena; the arena combat is absolutely painted in a negative light. You might as well say that Star Wars is a story that celebrates the idea of blowing up whole planets full of people. Ridiculous. The cherry on the ice cream sundae is the crack about "...a culture in need of a wake-up call." Ironically, The Hunger Games IS a wake-up call. The underlying themes are about a too-strong totalitarian government manipulating their population into complacency by using "reality TV" as a propaganda tool. Over the past half-century, real governments have become better and better at using the media to spin the facts to their own advantage; take a look around in an election year and see for yourself. At the same time, "reality TV" becomes more and more outlandish. Government-sponsored and approved violence could, given the right set of circumstances, become reality one day in this or any country. Just ask first-century Christians, who, depending on who was in charge, might wind up getting eaten by lions in public. Cruelty of man against man, heightened by the fact that the persecuted persons are children, is totally, unequivocally condemned by The Hunger Games. When we wake up to the fact that although they are not physically cutting each other's throats, many times the players in "reality TV" programs are mistreating each other publicly for their own ends, and we watch it and call it entertainment, then we will have learned the lesson of The Hunger Games. According to reports on the Internet today, The Hunger Games has already sold fifteen million dollars worth of tickets, even though it doesn't actually open until tomorrow. It's obvious that some marketing person at October Baby is somehow trying to get a piece of that. I'm not sure what the exact idea is (viewing their movie as a protest against another movie? ), but it's not going to work. The millions of Hunger Games fans are not going to say, "Oh my goodness, you are RIGHT! I will throw away the ticket I stood in line for and now buy a ticket to see YOUR movie instead!" In fact, the only thing I can see this kind of advertising accomplishing, if it accomplishes anything at all, is to put the idea in the head of a parent who is too lazy to really find out what The Hunger Games is all about that it is harmful to their teenagers, and forbid the teenagers to see it. What's that going to do but drive a wedge in families? The kids will either sneak out and see it anyway, or miss out on what could actually be a highly positive message for them (violence is bad, and so is believing that everything you see on TV is okay). Shame on you, American Family Association. AFA, if your film is any good, you don't need to slam other good movies to sell it. Especially not films with a positive message. I won't be wasting my time with October Baby, but I will see The Hunger Games. Because I enjoy a movie with a positive message. This past week I got a new Study Bible... the Life Application Study Bible in the New Living Translation. This is a hardcover copy that I won in an online contest; I actually already had a paperback personal size copy of the same thing on my shelf for a while, waiting until I had time to spend with it (I gave it away when I got this hardback copy), and my wife has had the NIV version for some time (she got it for Easter several years back). This is the first time I've really opened one up and spent quality time with it. I'm actually more impressed than I thought I would be! For the past several years I've been a huge fan of my ESV Study Bible. I've read through most of it in my quest to read through the whole Bible in a year (which is now several months into its third year... go Ezekiel!) and learned an awful lot. The ESV Study Bible has tons of notes that give historical background, cross-references, and other supporting material to help you understand the text. I've also been using the NIV Study Bible, which contains materials along the same line (I've been reading them together, which has been very interesting... usually they have completely different supporting material, sometimes they are complimentary, and occasionally they come close to contradicting each other! But both are outstanding). The Life Application Study Bible is not like that. Certainly it has a copious amount of notes, but the study notes in this Bible are not primarily of a historical or even of a Theological nature, at least not in the academic sense. These study notes are firmly focused on one thing: showing you ways that the Bible text applies to your day-to-day life. They're not concerned so much with telling you how someone lived in the first century; they're concerned with how the Bible is telling us to live in the twenty-first century. They're very good at helping you start thinking about what the text means to your life, right now, today. I'm duly impressed! Is this the only Study Bible I would want to have? Definitely not. Not for me personally, anyway. I'm very interested in all of that historical background and learning how different passages of Scripture interact with one another (by the way, the Life Application Study Bibles do have book introductions which provide some historical background, so it's not like they leave you high and dry). I enjoy a more academic take on the Word sometimes. I also find that I don't particularly trust the New Living Translation for serious study; it's still way too close to paraphrase for me, although it is less relaxed about fidelity to the text than the classic Living Bible, and of course almost anything is more literal than something like The Message. The NLT is more like having a good friend explaining to you what the Bible says, though, and I do kind of dig that for casual meaning. The Life Application Study Bible matches the NLT incredibly well because reading the study notes feels kind of like having that same good friend tell you what they learned from reading the Scripture passage they just told you about. For me, the overall effect is like listening to a message by a pastor who has a very relaxed style and who is very good at bringing the topics he finds in the Bible into a daily life context. I'm going to make it part of my devotional life, and I think I'll get a lot out of it! Good stuff on the way! First off, I want to apologize for the too-long absence. My family has been in the middle of a crisis situation that I believe a lot of people are experiencing right now: we are trying to sell a house that stubbornly has resisted getting sold. Often when we have a crisis of circumstance, we Christians wind up having a crisis of faith as well, and that's where I've been... and I didn't want to blog when I was feeling at a loss for answers and risk making someone else feel the way I was. I'm being real with you here; Christians spend time not understanding what's going on sometimes. I've learned a lot of interesting stuff in the process, though, and I'm going to share it with you in the coming weeks! First up, though, I have a review of this book coming up; that will be a good jumping-off point for the entries about my recent house-selling and soul-searching experiences. So stay tuned! Book review should appear this weekend.